The colt enters Saturday's race as the only horse in the lineup with stakes experience. Trainer Todd Pletcher has already won the tradition-rich Sanford Stakes a record six times and stands an excellent chance of adding to that when he sends out likely favorite Sombeyay along with his stablemate Lexitonian in the Grade 3 race Saturday at Saratoga. 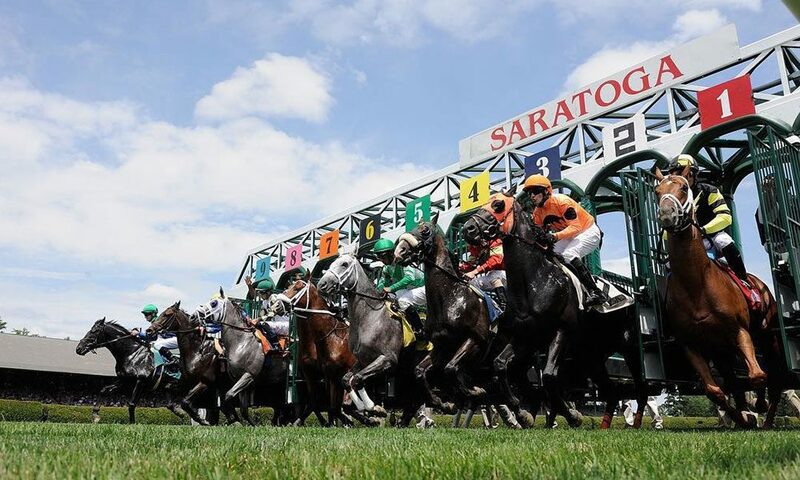 Sombeyay is the only member of the Sanford lineup with stakes experience, having finished a late-running second despite stumbling at the start of the Tremont at Belmont Park on June 8. Starlight Racing owns Sombeyay, an easy winner of his career debut six weeks ago at Gulfstream Park. Pletcher won the 2015 Sanford for Starlight with Uncle Vinny. Sombeyay did not fare well at the post position draw, pulling the rail with Javier Castellano named to ride. “It’s a disadvantage drawing the inside with babies, but he’s got a little experience down in there,” said Pletcher, referring to Sombeyay’s effort in the Tremont. Pletcher was also high on the chances of the Calumet Farm homebred Lexitonian, who in his only start broke from the rail and rallied to a one-length victory going five furlongs at Belmont on June 27. Lexitonian will be ridden by John Velazquez, who has done Pletcher one better by having won the Sanford a record seven times. “I think the added distance should be good for both horses and we’re going to learn a lot about where they stand in the mix from this race,” Pletcher said. Mark Casse and Steve Asmussen both also entered two starters for the Sanford, although Casse said he plans to run only Strike Silver while scratching Dream Maker to await the Saratoga Special later in the meet. Ridden by Julien Leparoux, Strike Silver led at every call and held off a bid from Nitrous to win his only start by a neck at Churchill Downs on June 14. Leparoux was originally named on Dream Maker, but due to the scratch will switch to ride Strike Silver again in the Sanford. Asmussen’s duo consists of Whiskey Echo and Bano Solo, each a wire-to-wire winner of his only start. Whiskey Echo earned his diploma at Belmont while Bano Solo graduated at Churchill Downs. Knicks Go and Chase Greatness, both of whom won a maiden race in their last start, complete the field.